Come November, Christmas is right round the corner. The best way to enjoy this festive season is to plan your Christmas spending a month ahead so that you do not come up with last minute disapproval or disappointment. To start with, keep a sharp eye out for offers and promotions that are available for the upcoming Christmas season. Nowadays it seems businesses are starting early getting their Christmas items and even sales ready. Some start as early as the week before Halloween. Last year I was shocked to see one of the big Home Improvement stores had Christmas items up and promoted in late October. It’s not so unusual anymore to see Christmas markdowns and offers in early November and sometimes in late October. If you want to go on a vacation, look for special offers and discounts travel agents would offer for Christmas. If you have a choice, it’s always better to save up for Christmas spending well ahead of time. Don’t wait for the last minute rush, or decision making. If you plan to launch your business or take your business to the next level during Christmas, you need to plan for it now. Don’t wait to the last minute for potential business problems to get in the way. Planning in advance of the holiday season is a big step in that regard. Here are some tips for you to follow regarding your Christmas spending now. Create your initial budget – you need to focus on where to spend and where not to spend. Take your time to think about your financial position and how much you can actually afford without going into debt. Be honest with yourself, and the budget should work perfectly for you. Plan on all the aspects of the holiday season at home and away, including gifts, entertainment, food, greeting cards, and everything else you need. This will ensure that you will not overspend in November or December. Make a list of all people you have to give gifts. In the process, do not forget your budget and spend in excess of it. Set a spending limit for each person on your list (on priority basis) and remove those names if your calculation expenditures will exceed your budget. Prepare a wish list for all you will give gifts to and create your budget before you go out to spend on shopping, or the likes. Allow for your budget to be redirected or increase. As the weeks go by, you can keep track of your home expenditures. How much will it be in comparison with the budget? How much money will be left? 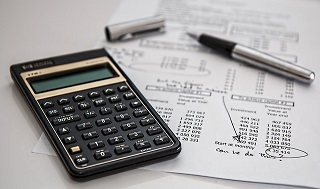 Were you focused when you originally calculated your budget? Make adjustments to your budget as you move on. Keep your budget flexible; if you need to increase it a little more your budget should be able to adjust to it. Consider budget-friendly Christmas shopping. You need to go around to stores, compare prices and discount coupons for the holiday season. Create a budget for planning an event during this Christmas season. Ask for help if needed. By taking these early steps and planning in early November, it will help ensure you can enjoy a pleasant and memorable Christmas with your family and friends.